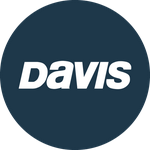 Davis Instruments Support, FAQs and Troubleshooting - My Mega-Light is dim and does not shut off in daylight. Why is this happening? All Categories ​>​ FAQ ​>​ Marine ​>​ My Mega-Light is dim and does not shut off in daylight. Why is this happening? The lighter plug receptacle polarity is probably reversed. This defeats the photo cell and limits the current powering the bulb. Simply switch the wires entering to the receptacle. My Vantage Connect installation is in a low light area. Can I add another solar panel?